1. A HAZY SHADE OF WINTER But look around, the leaves are brown, And the sky is a hazy shade of winter. Oh, seasons change with scenery, weaving time in a tapestry, Won’t you stop and remember me? Do you think of someone special during Winter? Me. I worry about whether or not I am warm and cozy. 2. BRIDGE OVER TROUBLED WATER When you’re down and out, When you’re on the street, When evening falls so hard I will comfort you. I’ll take your part. Being warm and cozy! And if I am down despite being warm and cozy, I can count on my Amoeba to lift my spirits. He always seems to know just what to say to make me laugh and look for positives. 3. EL CONDOR PASA I’d rather be a forest than a street. Yes I would. If I could, I surely would. I’d rather feel the earth beneath my feet. When was the last time you went barefoot in the grass? About 15 minutes ago when I ran out to see how the electric candles look in the windows. How do you entertain yourself during a traffic jam? Hahahahaha! We live in a 15 mile by 20 mile island. We don’t have traffic jams. Our daily rush hour lasts 7 minutes. What words would flash on your ideal neon sign? 6. 59th STREET BRIDGE SONG Got no deeds to do, No promises to keep. I’m dappled and drowsy and ready to sleep. Let the morning time drop all its petals on me. Life, I love you, All is groovy. What was the last event that made you feel groovy? I’m sorry, my grooves are private. That’s why we have doors and window blinds. 7. RICHARD CORY The papers print his picture almost everywhere he goes: Richard Cory at the opera, Richard Cory at a show. And the rumor of his parties and the orgies on his yacht! Oh, he surely must be happy with everything he’s got. Do you make enough money to keep you happy? Unemployed. You figure it out. How do you feel about boxing as a sport? I’m all for it — unless my opponent plans to swing back! 9. MRS ROBINSON Hide in the hiding place where no one ever goes. Put it in your pantry with your cupcakes. It’s a little secret just the Robinsons’ affair. Most of all you’ve got to hide it from the kids. What was the last thing you hid from the kids or significant other in your home? Generally I hide the car keys, but not on purpose …. 11. KATHY’S SONG I hear the drizzle of the rain Like a memory it falls Soft and warm continuing Tapping on my roof and walls. What is your least favorite thing about rain? It always hangs out beneath gray skies. 12. HOMEWARD BOUND Home where my thought’s escaping, Home where my music’s playing, Home where my love lies waiting Silently for me. It keeps me warm and cozy! What was the worst way you ever left a lover? I’ve tossed a lover out, but I have never left one. PAUL REVERE & THE RAIDERS! ← A Dare I Am Taking! Stacy — in my youth I was homeless from October through Christmas Eve and we were in Missoula, Mt. Can you say cold? Warm and cozy is VERY important to me! I’m with you on the ‘warm and cozy’. It’s supposed to start dropping below zero here in Minnesota. If I wasn’t afraid of burning in my sleep I think I’d get me an electric blanket. Have a wonderful weekend! Shawna — I have fleece sheets. They are wonderful and better than an electric blanket because one doesn’t loose sleep worrying! As cold as it was here this past week, I concur on the importance of being warm and cozy! 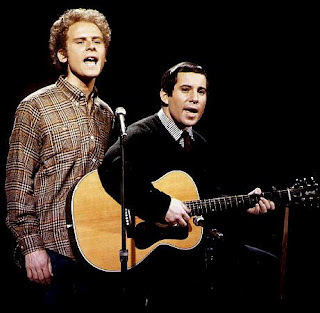 This post made me want to listen to a lot of Simon & Garfunkel songs. Karen — And it left me singing to my spice cupboard! I know you know which song that was! It is freezing cold here, but luckily I have never been without the warmth of a sheltered place. I feel especially bad for the homeless this time of year. Kala — so so I — from personal experience! I loved reading your answers, Quilly. It made me smile all the way. Warm and cozy, eh? You should move back to Hawaii. Well, actually it’s a teeny bit chilly now after that “winter storm” that raged through last night. Kay — we are planning to be in Kailua-Kona near the end of January. I like your answer to #5 – Amen! I like this meme. I was singing along with each one. Carletta — I have been spending a lot of time with Thom (blog & phone) lately. Love your answer to #10!! ROTFLMAO! And yes, surprisingly my friends do occaisionally let me drive – but since I can only fit one other person (back seat only for short people seriously, and my friends are all over 6 ft tall) we usually end up in their cars. The question they all have is since Curt was on the outer fringe of my friends at the time – he knew about that and the 2 evil terminations after that, why he would ever have wanted to go out with me and risk it. RiA — you know you’v4e got the right guy when they can do sweet and sappy with you! Love Sounds of Silence & Bridge Over Troubled Water. They take me back to being ten and with my brother. Mrs. Robinson has always been one of my least favorites, and of course it always gets stuck in my head! I hope you have a warm and cozy weekend! Linda — we really do have a lot in common! Go listen to the others and they might jar the one we don’t care for loose!